Planetary gear system is a type of epicyclic gear system used in precise and high-efficiency transmissions. We have vast experience in manufacturing planetary gearbox and gear components such as sun gear, planet carrier, and ring gear in China. We employ the most advanced equipment and technology in manufacturing our gear sets. Our inspection processes comprise examination of the torque and materials for plastic, sintered metal, and steel planetary gears. We offer various assembly designs for your gear reduction projects. To expand the application scope of our gear sets, we use spur gear, helical gear, and bevel gear in different planetary gearbox structures. Our product portfolio includes small planetary gearbox, inline planetary gearbox, right angle planetary gearbox, hollow shaft planetary gearbox, double output shaft planetary gearbox, and servo gearbox (high-precision planetary gearbox). Some benefits our products offer are lower noise, reduced backlash, lower cost, lifetime lubrication, high-output torques, high efficiency, easy mounting with flanges, and adapter. Our planetary gear reducers come with a huge diameter range, i.e. from 10mm to 280mm. Our PJM planetary gearheads can match any motor type to suit any application. We also provide custom planetary gearboxes and planetary gear motors. 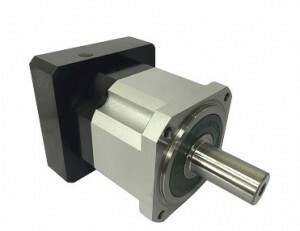 Are you looking to buy cheap planetary gearboxes from a direct factory supplier? Contact us now to get a free quote.